Learn how to reach more people and drive more sales using your existing industry knowledge with Education-Based Marketing. Smart businesses don’t wait until people are ready to buy. Instead, they work to demonstrate a need for what they sell to people who may otherwise not be interested. If you’re asking yourself, “But how? ” you’re in the right place. We’ve created this article to help you understand how you can successfully target a much broader audience than you may currently be reaching, and how to do it more effectively. You see, every business has benefits that most of the population knows little about. Benefits that could very well be driving considerably more sales. It’s up to you to determine just what those benefits are and put them in front of the right people so that you can “change the buying criteria,” as Chet Holmes says. 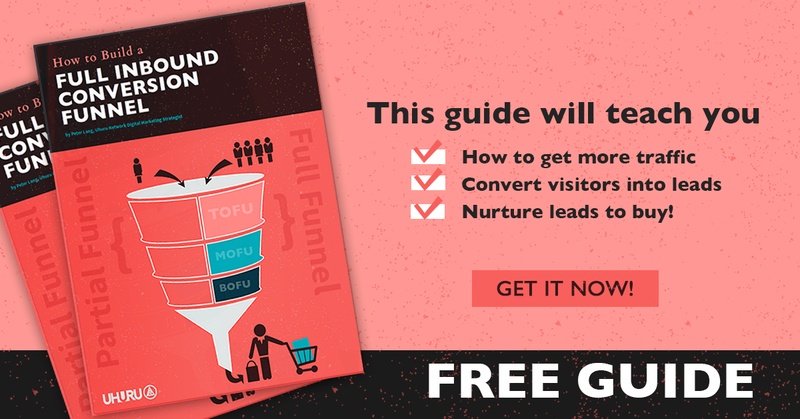 The purpose of this guide is to help you expand the way you view marketing to establish a system that generates new leads and customers in a predictable, scalable manner. Getting clear on the concept we’ll be covering is a good starting place, so let’s define education-based marketing. In its purest form, education-based marketing is the use of shared knowledge to generate trust from your target audience. Using educational messages, brands can expose a need and help their customer understand a need that their product or service solves. Through the use of these educational messages, these brands can foster a trusting relationship with new potential customers and dramatically increase the likelihood of them making a purchase. They can control the entire funnel from top to bottom without any off-putting, sales-heavy marketing tactics to deter their interest. The definition above could certainly use an example to help clarify the process, don’t you think? Let’s take a look at how a weight loss supplement brand might use education-based marketing to reach more potential customers. Here’s the thinking behind the typical marketing/advertising approach. When it comes to weight loss, most people have been told to move more and eat less. However, very few people can strictly adhere to that advice. So they search for shortcuts, ways to make the process easier. Those people make for easy targets. So the weight loss supplement brand puts their ads in front of them via Facebook, Google Adwords, etc. As you might imagine, by only reaching those people and only using ads to convert them into customers, they are limiting the scope of their marketing and limiting their potential to generate new customers. With an understanding of education-based marketing, the brand would approach reaching potential customers much differently. Let’s say a new marketing director came to work for the brand and brought with her a deep understanding of education-based marketing. Her approach would start far earlier in the buyer’s journey. Her team would create blog posts on the risks of obesity, how being overweight can dramatically decrease longevity and the various consequences of being overweight. She might then target typically overweight audiences with ads for those blog posts to get their attention. Those people likely weren’t directly seeking help for weight loss, but they would absolutely be aware of the fact that they were obese or severely overweight. Thanks to a sophisticated blog strategy, those blog posts would also rank organically and drive traffic to their website. However people came to read them, CTAs (calls to action) at the bottom of each blog post would urge readers to download one of their free guides on fitness, diet, and various tactics for reducing body fat. Within those guides, supplements like their own would be mentioned as a tool that readers could use to speed up the process when combined with some of the other tactics found in the guides. Readers would exchange their email address to download those guides, allowing the supplement brand to email them with a free offer for a trial of their supplement, driving them deeper into their marketing funnel and further into the buyer’s journey. Those trialists could then be sent email offers for discounts on their first order of the supplement. As you can imagine, many of these discount purchasers would eventually end up buying multiple orders of the full-priced product, given they saw results and were satisfied with the product. As you can see, there was absolutely zero hard selling going on while the supplement brand marketed their products. Instead, they worked to provide upfront value to potential customers every step of the way. The free information in the blog posts helped them understand the peril they may face if they didn’t change their lifestyle. The free information in the downloadable guides helped them to identify a variety of solutions that may or may not work for them. The free trial of the product provided a zero obligation way for them to see the benefits of their supplements. Then, after providing an exceptional amount of upfront value and developing a trusted relationship with their prospects, the brand was able to start selling their product. The difference is that the trust they earned made selling much easier and established a relationship with the buyer that made them far more likely to become a repeat customer. Now let’s look at some of the different platforms you can use to start implementing education-based marketing. With the rise of the digital age, it has never been easier to reach your potential customers. This is especially true when it comes to education-based marketing. There are several ways for you to begin educating your audience. One of the most popular ways to educate an audience is in the form of blog content. Blog articles are relatively easy to produce, free to publish, drive traffic to your website, and can be shared on plenty of other platforms. This kind of multi-purpose asset represents the perfect foundation for your education-based marketing approach. Be sure not to miss this recent article on Blog Strategy to better understand how to blog most effectively. Where blog posts create an excellent foundation to build on, e-books and other downloadable resources make for the perfect next step. If you can pique your prospect’s interest with a blog post, an effective call to action could lead them to the perfect place to continue their education. Your downloadable resources should be of the highest value and provide a complete solution to whatever problem they were designed to solve. An additional and equally important benefit is that you can “gate” these resources to collect your prospect’s contact information, allowing you to stay in contact with them via email and send even more valuable content. All of this works to further reinforce your expertise and establish a trusting relationship with your brand. When you make the investment of creating blog posts and e-books, it’s important to get them working for you right away. One of the best ways to do so is via paid ads on platforms like Facebook and LinkedIn (or wherever your ideal buyer spends their time). Rather than putting glaring ads in front of an unqualified audience, work to qualify them with educational content so that you are only selling to an audience that is most likely to buy. Social platforms aren’t only good for paid advertising. In fact, you can use them in different ways to extend the reach of your education-based marketing. While organic social media exposure is largely a thing of the past, you can still create a Facebook page that represents a hub of industry information, discussion, news, and so on. Post your educational content to your page to extend its reach and provide value to your existing audience of prospects and paying customers alike. After all, just because someone converts to a paying customer doesn’t mean you should stop educating them. Providing valuable information to your existing customers is a great way to boost retention and restart the buying cycle. Education-based marketing tip: Pay to promote your Facebook page to a relevant audience to build up a considerable following and reach more people. Social media channels like Facebook and LinkedIn have topic-specific groups where people come together to share information and learn from one another. These groups represent the perfect place to gather referrals and leads if you take the time to establish yourself/your brand as an industry authority. This isn’t the place for a corporate presence. Instead, appoint a member of your team to become the expert for one or more groups/platforms in order to extend the reach of your educational content. Last, but certainly not least when it comes to education-based marketing, is to establish your customer service center on your social media platform of choice. Using a Facebook page or Twitter handle, let prospects come to you with questions or issues that they face during the buying process. Furthermore, let your existing customers come to you with issues, complaints, and feedback to resolve issues they face and keep your paying customers happy. Happy customers make for great repeat customers. One of your brand’s most valuable assets is your industry expertise. You’ve likely uncovered countless valuable insights while getting to where you are today. Insights that the vast majority of your customers and potential customers don’t share. Use your knowledge to educate them with zero commitment to your business. Provide value by helping them solve problems and teaching them about the best ways to do so. Many of the people who consume your knowledge will not buy from you, but many others will. 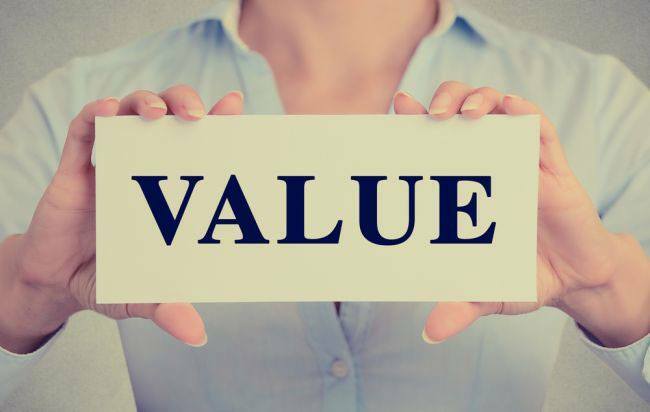 Providing upfront value is one of the most effective ways to build the trust necessary to get people to buy from you. The more you share your knowledge, the more you’ll be seen as industry experts and the more your potential customers will trust your brand as the right brand to help them solve their problems or meet their needs. It isn’t until you’ve developed a strong, trusting relationship with a prospect that they’ll be interested in knowing more about your product/service. People aren’t searching for products, at least not at first. Instead, they’re searching for solutions to their problems. Rather than touting the benefits of your product, teach your audience about the best ways to solve their problems. Present a variety of top solutions that will suit different segments of your audience. Without presenting your product/service as a potential solution among many, how would they ever know that it exists? By presenting your product as a solution, you’ll automate your lead-qualification process, weeding out those that wouldn’t be interested in what you have to offer. One of the most important concepts in education-based marketing is to avoid the feeling of being sold. Today, people are wary of anything that feels like sales. As Chet Holmes puts it…. When you try to sell, you break rapport. No one wants to be “sold.” But when you “educate,” you BUILD rapport. You build respect, trust, influence, all key ingredients to making a sale. Your educational approach should be that of providing pure value and expecting nothing in return. Sure, you can help your audience see the benefits of using a product or service like yours to help them solve their problems, but don’t overdo it. If your education becomes too one-sided, you run the risk of losing the prospective customer’s trust and their business forever. It’s important to educate your potential customers on solutions to their problems. But how can you hope to understand their problems? Besides approaching the obvious problems that your product or service addresses, there are two powerful ways to get ideas about what to create your educational content around. What are your prospects asking? One of the best ways to decide what topics you should be educating your audience on is to look at the questions your prospects are already asking. Identify information gaps and topics that need further clarification to help your potential customers better understand their options. Query your sales team, customer service channels, etc. You’ll likely find that the same questions are being asked again and again. Another great way to get clear on what you should be creating educational content around is by asking your existing customers. Create a survey that you can email to various segments of your customer base that includes questions relevant to their unique demographics. The more you know about the path that your customers took to buying from you the better you’ll be able to optimize the process and replicate their results. Different segments of your audience are best reached through different channels. Most of them will likely be active on two or more of the platforms on which you reach them. Work to create multi-touchpoint education process by reaching them on as many channels as possible. They may prefer to consume your educational content via a single channel, but their exposure to it on others will increase their likelihood of taking the time to do so. Work to create blog posts that rank with effective SEO. Advertise those educational posts on Facebook, LinkedIn, Twitter, etc. Share them in your social media groups. Guest publish them through various media outlets. The more platforms you can reach them on the better. Plus, the more platforms you use for education-based marketing, the more people you’ll be able to reach and educate. While it’s always a good idea to provide value to your potential customers with education-based marketing, it’s important to stay focused on the marketing. Work to produce educational content that drives your audience to (eventually) take action. Create content that leads to the discovery of the benefits of your product/service in one way or another. Avoid creating content that sends them in the wrong direction. You want them eventually discovering the benefits of your brand/product. As you drive your audience to take action, they’ll move further into your education-based marketing funnel. That doesn’t mean that after they’ve consumed a piece of content, it’s O.K. to start selling. Instead, work to provide value at every stage of their buyer’s journey. If a part of your marketing process doesn’t add upfront value, find out why and work to remedy the problem or remove the step altogether. It’s time to begin building an education-based marketing process that works for your unique audience. When you do, you’ll see that new leads come far more easily and convert into customers at a higher rate. You’ll be setting your brand up as a trusted resource for information on your industry, and trust is what makes sales possible in the first place. 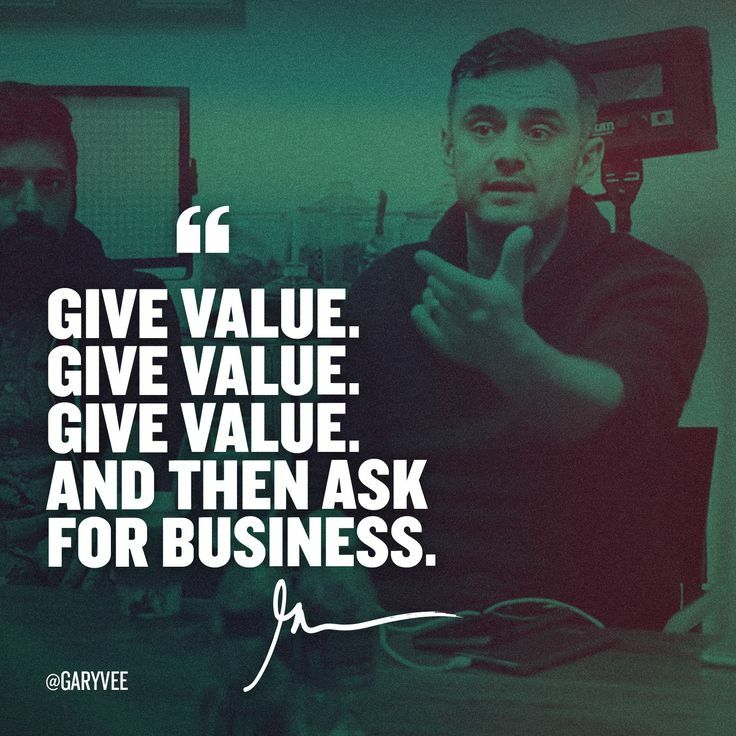 Above all, provide value to your audience that will help them succeed, and you’ll see a much better return from your marketing.